Sometimes it’s hard to find a running watch that’s right for you. Some people dislike the concept of the running watch; however, the running watch is known to be beneficial to your overall performance. In fact, depending on your outdoor activity a running watch can even enhance your ability to do a specific task. While running watches can be expensive, it’s important to understand the different types of watches as well as the many features a watch can possess before you purchase one. But what are the different kinds of watches and the features they hold? What are the advantages to using a running watch? Most people don’t realize that a running watch tracks more than time. In fact, most running watches are designed to monitor heart rate, step count, and mileage. Of course, some running watches are more advanced including features like multi-sport statistics and estimating on recovery rate. However, any running watch that a person would buy would include two essential traits: improving fitness and customizing a person’s training. Therefore, running watches are the perfect accessory for anyone who is a beginner at their outdoor activity or sport. Additionally, running watches are known for their lasting battery, and thus you don’t need to be charging it every second in order to receive updates on your latest run. In fact, you don’t need to be wearing your watch at all to see your data, since most watches sync with your smartphone you can view your data from anywhere in the world. You’ll even get notifications about your activity and how it compares to your other data. Although, running watches haven’t always been liked. In fact, many people believed they were breakable due to their response to harsh weather climates. Recently though different brands have advanced their technology and running watches are more suitable for broad climates now. A fitness tracker is one of the most common running watches, and thanks to the Fitbit has been sold to teens, adults, and senior citizens around the world. A fitness tracker provides the basic fundamentals of a running watch like step count, calorie count, and mileage. Some more advanced fitness trackers offer features that document your sleep patterns as well as your heart rate. Also, fitness trackers are known to be simple and easy to use. In fact, a person of any age can use a fitness tracker not just for exercise but for improving your overall health. Since fitness trackers come in many colors and styles, you can wear one with every outfit. Unlike, other running watches fitness trackers are lightweight, so you’ll hardly notice it on your wrist. People who participate in running or another outdoor sport usually have a GPS watch of some kind. GPS watches are designed to document the route you take so your speed, rhythm, and altitude can be examined. GPS watches are the perfect fitness accessory if you train on the high ground since it can detect vertical advantage. Due to the change from low to high ground, GPS watches can give you precise statistics about your training rather than an average fitness tracker. However, GPS watches tend to be expensive averaging from one hundred to three hundred dollars. But for such an expense you’ll receive a product that will improve your training by calculating many statistics at once. While some people consider GPS watches to be too bulky others, find that GPS watches increase their chances of reaching their goals. Not many people know that studying your heart rate during a workout allows you to customize your training properly. 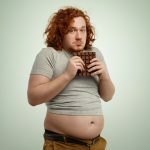 In fact, people who buy a heart rate watch see a boost in their performance due to their knowledge about their body. A heart rate watch utilizes heart rate to increase fat-burning potential, strength, as well as recovery statistics. Heart rate watches don’t necessarily examine the route you train on like GPS watches or rely on basic features like fitness trackers. Heart rate watches analyze your body’s reaction to your training method and then access how to improve your body’s behavior. Depending on the brand you buy, heart rate watches are not more or less expensive than fitness trackers. However, make sure you look at the features before you buy. The features of the watch are what will allow you to customize and personalize your training schedule. Multi-sport watches are precisely what they sound like, in fact, they document data even if your running, snowboarding, hiking, or even cycling. Multi-sport watches are ideal for people who love outdoor activities and people who are training for a triathlon. Also, multi-sport watches are entirely waterproof, so you don’t have to worry about the water ruining your watch. 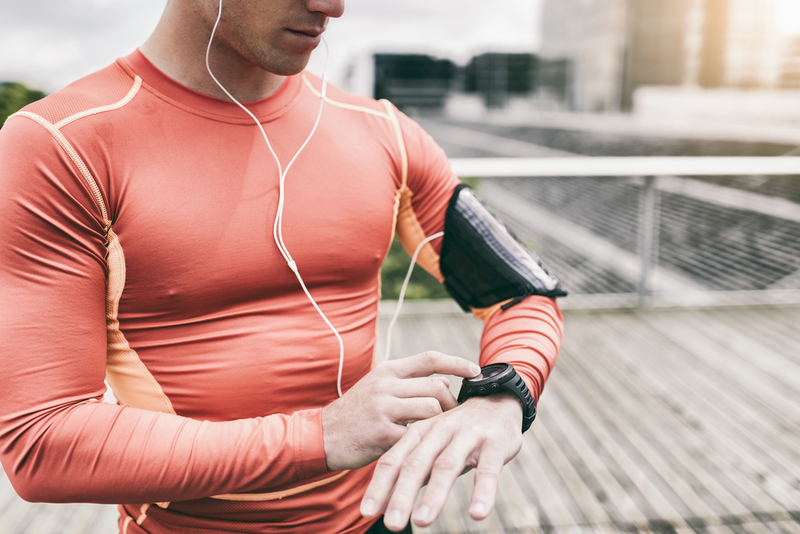 Some people buy a multi-sport watch but only use one feature like running, for example; however, multi-sport watches are valuable due to their versatility to record data for many outdoor sports. 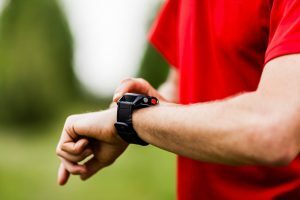 If you only participate in one outdoor activity than it might be best to choose a heart rate watch or a GPS watch instead of multi-sport watch. 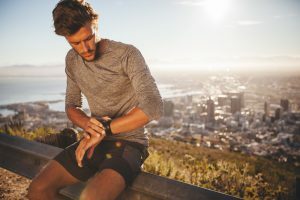 All features on a running watch are to further enhance fitness as well as personalize a person’s training; thus, features should be important to the user. However, what a person considers essential will likely vary from customization options to band colors. Some additional features on a watch include estimating a recovery rate, competitive racing, and smartphone notifications. These additional features can entice a hesitant buyer as well as persuade buyers to keep looking. Of course, the more additional features on a watch will likely mean that specific watch will cost more. Although, sometimes you don’t need all those bells and whistles, especially if you’re a beginner. If you’re just starting out working with all those different statistics and data charts may be overwhelming. It’s well known that additional features can be fun, but is it worth the extra cost?